International Peace Garden showing the symmetry of the gardens running down the international border between North Dakota and Canada (in the center); photo by Presley Perswain (wasme) on Flickr (noncommercial use permitted with attribution / share alike). 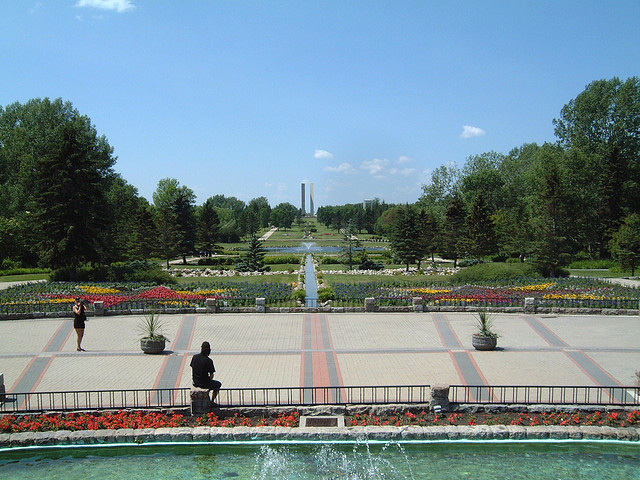 The International Peace Garden was opened in 1932 in front of more than 50,000 spectators (to commemorate the lengthy period of peace between the two nations) and claims to be the longest unguarded border in the world. 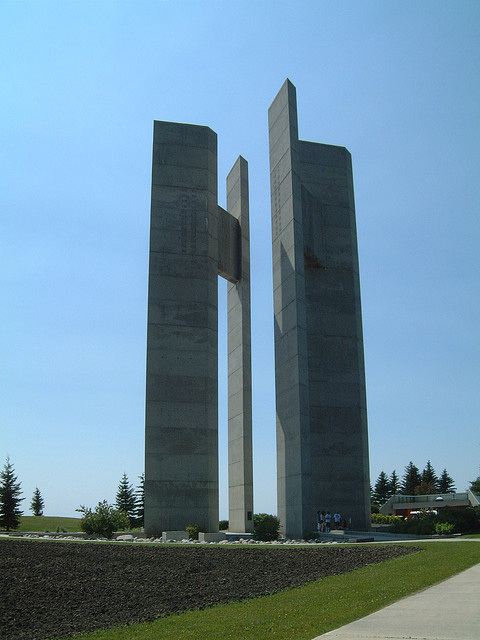 The Peace Tower monument was built as part of the 50th anniversary celebrations in 1980. The four pillars symbolize the coming together of people from the four corners of the world. More than 150,000 visitors arrive to view the floral displays at the garden each year. The Flickertail State: Another nickname proposed for North Dakota (in 1953) was The Flickertail State, referring to the abundant Richardson ground squirrels in the state (known for a characteristic flick or jerk of their tails while running or just before entering their burrows). "Flickertail March" is the official state march of North Dakota. Roughrider Country: In 1971 and again in 1973 bills were introduced to change North Dakota's official nickname to "The Roughrider State." The nickname was started by a state-supported tourism promotion during the 1960's and 70's. The nickname refers to Theodore Roosevelt's Roughriders of the Spanish-American War (which included several North Dakota cowboys). However, the North Dakota Legislative Assembly defeated these bills, which also proposed to change the words "Peace Garden State" on state license plates to "Roughrider Country." The Sioux State: "Dakota" is the Native American Sioux word for "friend." 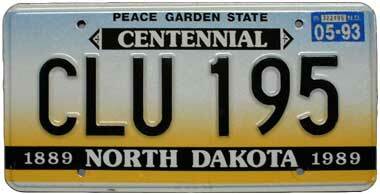 North Dakota license plate with state nickname (Peace Garden State); photo by Norm Russo (used by permission). Peace Towers at the International Peace Garden; photo by Presley Perswain (wasme) on Flickr (noncommercial use permitted with attribution / share alike).